As years go by, the electrical aspects of your home may become outdated. New technology and more efficient electrical systems are updating constantly, giving you and your home better ways to live and save on electrical bills. Strada Electric, an Orlando electric company, has worked hard over the years to be able to customize, design, and implement cutting-edge electrical systems into your home or workplace. 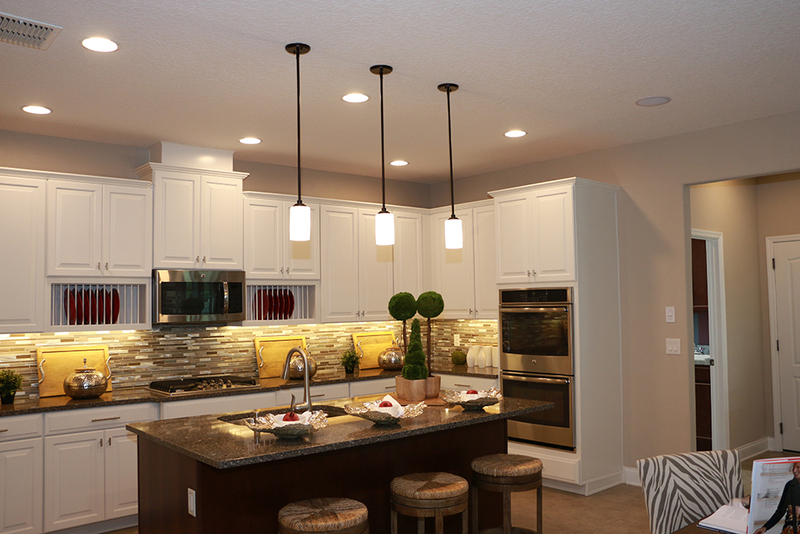 One of the best times to update the lighting in your home is during remodeling or renovations. With construction underway in your home, it’s wise to take advantage of that opportunity and think about how you can better utilize certain lighting features in your home. Wiring may be old or outdated, and having new features installed will not only update them but will also improve the aesthetic of your home. It’s important to look into any finicky light switches, as this may be a sign of an overloaded electrical system. Don’t hesitate to have these replaced as well. Whether it’s interior or exterior lighting you wish to improve, Strada Electric has the ability to design and install modern lighting for you. During remodeling, you may decide to have your electrical system updated to give you home automation capabilities. Control over nearly every electrical aspect in your home or business will be in your hands. As a leading Orlando electric company, we offer new home automation features that enable you to remotely control cable, Internet, sound, and even security systems with any smart device. This complete control allows you to access these features even while you’re away from home or the office. This gives you constant peace of mind in regards to the overall safety and functionality of these places. Just as modern lighting has seen advancements, electrical panels have also been greatly improved over the years. Electricity is such a common commodity, most people don’t consider how it truly works. On any given day, the common household can have up to several different electrical aspects running at one time. All this electricity must come from somewhere in order to properly flow to each of these features. The electrical panel is the heart of your home’s electricity, which is why upgrading your panel is so important. An outdated electrical panel may not work as well as newer ones, as they offer better, newer features. Strada Electric specializes in all aspects of electrical work. Our Orlando electric company has successfully been improving homes and businesses for over ten years, and we are well versed in providing you with the best technology there is to offer. When you’re ready to upgrade any electrical features, call us at 877-906-1113, and we’ll have your home up and running with the best technology in no time.